A molar pregnancy is when an egg is fertilised (conception) but it's genetically faulty – it has either too many or not enough genes. Some tissue grows and implants, but it will always end in a miscarriage. Nobody knows exactly why it happens, but it happens in about one in every 700 pregnancies. Molar pregnancy is also called hydatidiform (hi-dat-id-e-form) mole or gestational trophoblastic (jes-tay-shun-al tro-fo-blas-tik) disease (GTD). There are two types of molar pregnancy. A complete mole is where only abnormal placental tissue (trophoblast) grows, looking like a group of tiny fluid-filled sacs (cysts). A partial mole is similar, except that it can look as though there is also a baby early on. However, it will always miscarry. Women with a molar pregnancy often have higher levels of the pregnancy hormone hCG (human chorionic gonadotrophin). The trophoblast cells make this hormone, and they grow quickly. Some women have problems such as feeling very sick and some vaginal bleeding early on, or they may have no symptoms at all. An ultrasound scan carried out because of bleeding, or as part of routine care, may show that the pregnancy isn't going to continue. The ultrasound scan is very accurate about this. Sometimes, as well as confirming that the pregnancy can't continue, the ultrasound shows that a molar pregnancy is the cause. However, the scan is not always an accurate test for this. If your doctor, midwife or LMC suspects you may have a molar pregnancy, you may also have a blood test to check your hCG levels. The only way to confirm it was a molar pregnancy is by examining and testing the tissue under a microscope, which takes about 10 days. If your hCG levels are high and your ultrasound suggests you may have a molar pregnancy, your doctor will recommend you have a small operation to remove the pregnancy tissue. This is called an ERPOC or evacuation of retained products of conception, also known as a D&C. The tissue can then be examined and tested. It is still possible for you to take the pregnancy tissue home with you if you wish. If you do, please let the staff know. Why do I need to be followed up? Most women's hCG levels will drop back to normal after a molar pregnancy. However, some of the molar pregnancy cells stay in the wombs of about one in 10 women. These may then grow and spread around their body, which is known as gestational trophoblastic neoplasia (nee-o-play-si-a) or GTN. This is a type of cancer, but it can be treated successfully with chemotherapy. The first test is usually done about 10 days after the operation. You will then have an outpatient appointment at the Specialist Molar Pregnancy/GTD Clinic on the ground floor of Christchurch Women's Hospital about two weeks later. Your doctors will then confirm whether there was definitely a molar pregnancy. If it was, you'll need further testing for at least six months. A molar pregnancy doesn't affect your fertility at all. For this reason, it's very important to use contraception to prevent a pregnancy for six months after your blood hCG levels have gone back to normal. This is because being pregnant also boosts your hormone levels, so it's impossible to know if your hormones are rising because of pregnancy or because the disease is coming back. In any future pregnancies you should also get blood tests at six and 12 weeks to check your hormone levels, to make sure the disease hasn't come back. After a molar pregnancy you can use hormonal contraception (the Pill, implant, or injection) or condoms to stop you getting pregnant. Ask your specialist about when it's safe to try to get pregnant again. Will it happen again next time? A second molar pregnancy is rare, happening to only one in every 80 women. In any future pregnancies, you should have an ultrasound scan at seven to eight weeks, to make sure it isn't another molar pregnancy. 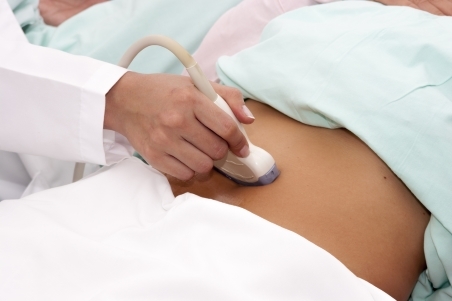 If you have further questions, ask the doctor in the molar pregnancy clinic. This Charing Cross Hospital website includes reliable and useful information, including some patient stories. Written by Gynaecology Service Christchurch Women's Hospital. Adapted by HealthInfo clinical advisers. Endorsed by midwife liaison, Canterbury DHB. Last reviewed June 2018. Gynaecology Service, Christchurch Women's Hospital. Molar pregnancy (hydatidiform mole) (gestational trophoblastic disease/GTD): patient information. Authorised by: clinical director, Gynaecology Unit. Last reviewed: February 2011. Ref 7731. Patient – Hydatidiform mole, retrieved October 2017. UpToDate – Hydatidiform mole: epidemiology, clinical features, and diagnosis, retrieved October 2017. UpToDate – Hydatidiform mole: management, retrieved October 2017.